EAST ALTON, Ill., April 3, 2018 – Winchester pays honor to the U.S. warfighters and veterans of World War II with its Victory Series ammunition, specially packaged in WWII collector’s cartons and wood boxes. All ammunition as part of the series will also include special head stamps and load specs. Each box will retail for approximately $25-$30/Box. 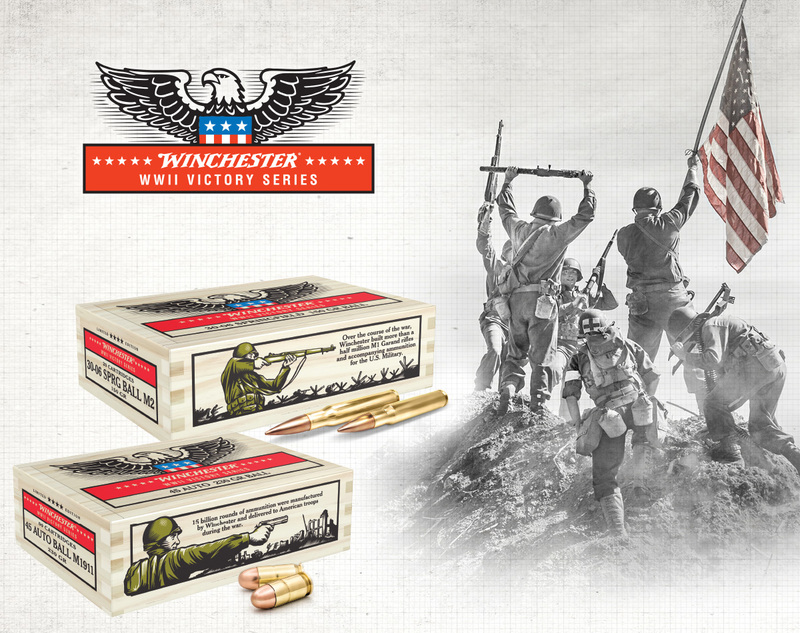 “Winchester played a vital role providing the ammunition and firearms used by our military in the defense of our country in WWII and we are proud to honor those brave U.S. warfighters who so gallantly fought for our freedom,” said Matt Campbell, vice president of marketing and sales for Winchester Ammunition. This entry was posted in Ammunition and tagged Victory Series, Winchester, WW II. Bookmark the permalink.